See Mělník, a beautiful town near the capital city of Prague. Taste its wine! In Mělník, you can view the Castle and the confluence of the Elbe and Vltava Rivers or just to enjoy Kokořín Castle, which is especially interesting, set in beautiful natural surroundings. Mělník is a town in the Central Bohemian Region of the Czech Republic. 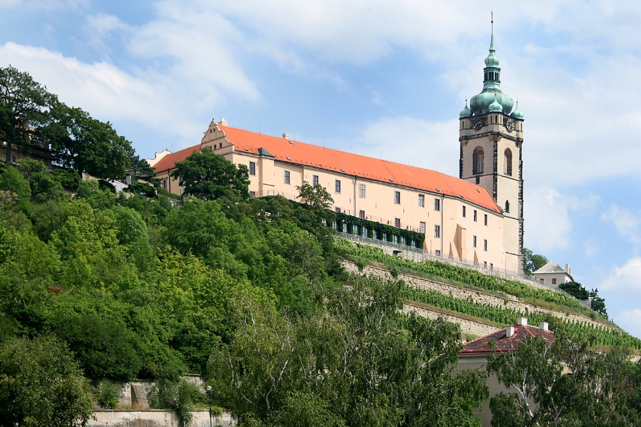 Among other things, Charles IV has the credit of introducing vineyards to the Czech Lands. He had the lands cultivated according to the French model, specifically to grow grapes. Mělník has become famous mainly for its Ludmila wine, named after the saint. A culinary trip to these parts should never omit a visit the Lobkowicz family chateau. The chateau tour ends in the wine cellar. A drop of wine will hopefully help to wash away your impressions of the ossuary which is reminiscent of the horrors of the Thirty Years’ War. 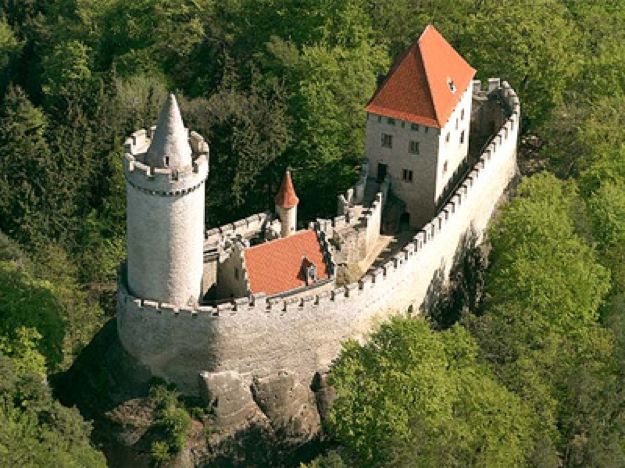 Enchanted by the charming countryside, you will certainly want to venture a bit further northwards to Kokořín Castle. It was founded in the 14th century, but its current appearance was created by renovations undertaken at the beginning of the 20th century. The repairs saved the Castle from complete ruin, but were so influenced by Romanticism that the result is a castle that would be better suited to a Hollywood film.